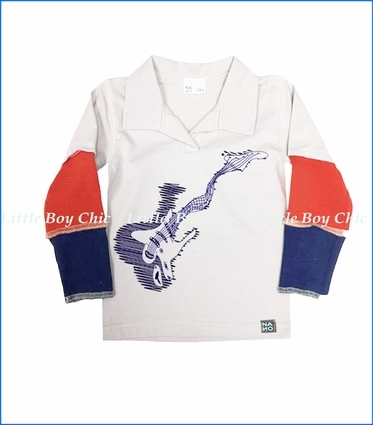 Rock out with this inspired guitar graphic polo shirt by Nano. Color block 2fer sleeves are vibrant and special. Quality cotton gives a soft hand feel with a bit of stretch for comfort and fit. Placket without buttons. Raw edge sleeve cuffs.